Yesterday Mark Zuckerberg announced the worldwide launch of Reactions — the new Like button with extra ways of showing your emotions. Facebook has not taken the move away from their iconic like button lightly. Having conducted over a year of research and experimentation in various markets and reportedly have received positive feedback so far. with love being by far the most popular. This feature is available on both the desktop on mobile devices. To utilise them either hover over the like button on a desktop or hold down the like button on the mobile app. Facebook is not the only social media platform that has been testing different reactions to users posts. 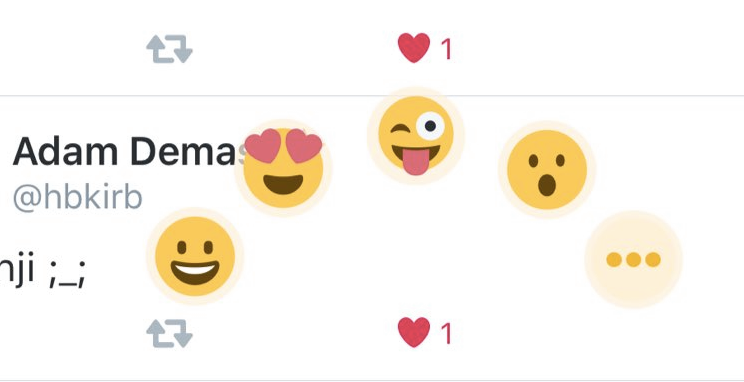 Twitter has been testing multiple emoji reactions to tweets. We wait to see how “reactions” impacts users and their interactions with Facebook posts – will it encourage more social platforms to enable emotional scoring?